Cookie exchanges are a blast, and if you are planning to take part in a cookie exchange, you might be looking for the best cookie exchange recipes! 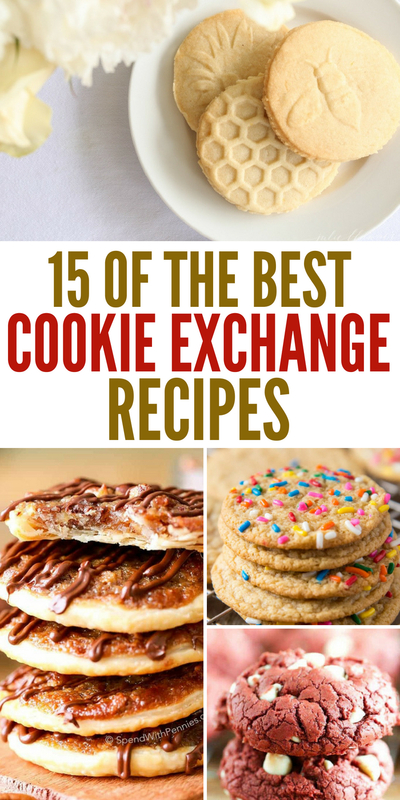 Well, you are in luck, I have tons of recipes all for you listed below, so you can find the perfect tried and true recipe to give a go and take to be a part of the exchange. Dazzle your friends with outstanding cookies that stand out from the rest. A cookie exchange is a fun way to try out new cookies, share, and take home lots of tasty cookies for you to enjoy with your family and friends. If you are new to the cookie exchange let, me give you the rundown of how it works. You invite a set amount of ladies or gents over to your home for the party. Each person bakes 1 dozen cookies to enjoy while they are at the party and then you make a dozen for each person that is at the party, that they can take home. So if you have 5 people each person would make a total of six dozen cookies. You include a recipe card so that they have the recipe if they choose to make it on their own. 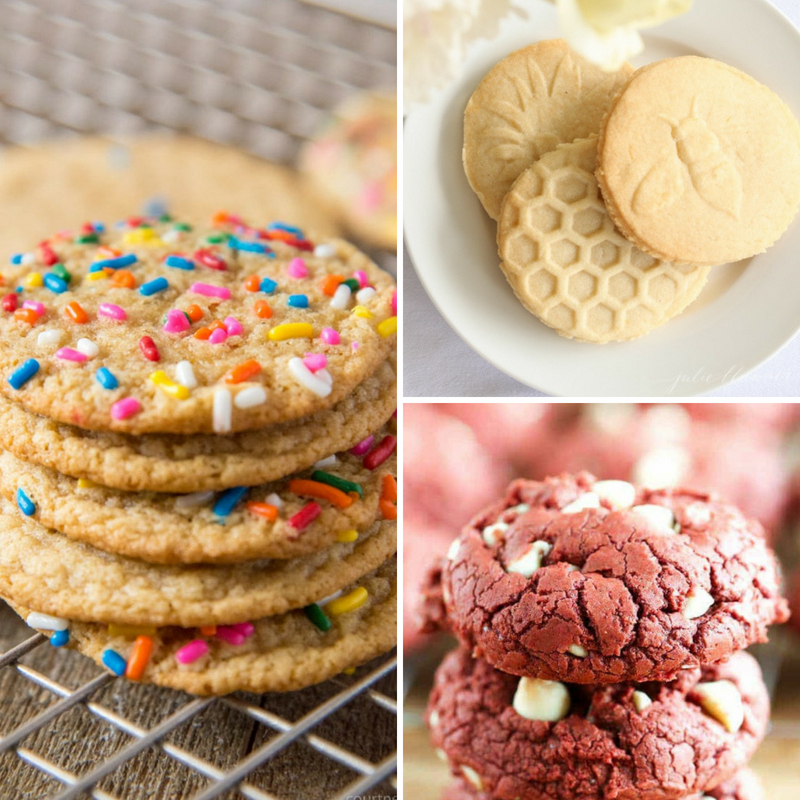 Plus learn these cooking baking secrets to get that perfect cookie every single time. Consider packing the cookies for each guest in a plastic container , that they can take and have. So you don’t have to worry about them returning it. Buy a cookie scoop so your cookies are all the same size and nice and uniform. This will make them look nice and you will have a better even cook during your batches. Don’t forget to either print out a recipe card and attach to the container or write out a recipe card . Raspberry thumbprint cookies are simple to make, and they have raspberry jam in the center for that perfect sweetness to add to the cookie. Maple Almond Butter Cookies are vegan and dairy free if you know someone who is on a strict diet. You get that rich maple flavor paired with the nutty element in a tender cookie. Whip up some of these strawberry chocolate chip cookies. They are the perfect mix of strawberry to chocolate, for that indulging cookie taste. Unique, rich, chewy, soft, and addictive. Brown Sugar Cookies are a bit different than your classic sugar cookie. 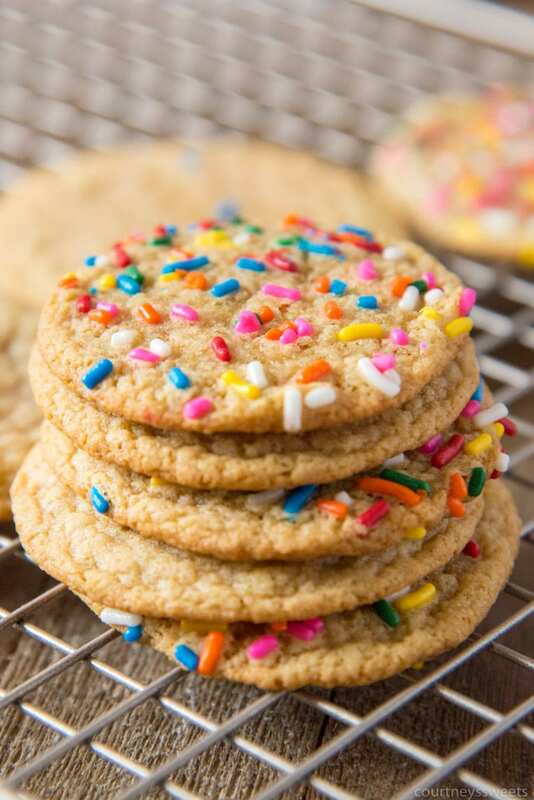 These cookies are made with brown sugar, so you get that deep element of flavor, and the sprinkles on top just amplify the presentation. Nutella anything is always a success. Try out this Nutella stuffed peanut butter cookie recipe, where the peanut butter cookie has a nice Nutella surprise waiting. If you are having a party around the holidays, consider this gingerbread recipe. You get that spicy and soft cookie in a gingerbread shape. These are one of my favorite recipes ever. 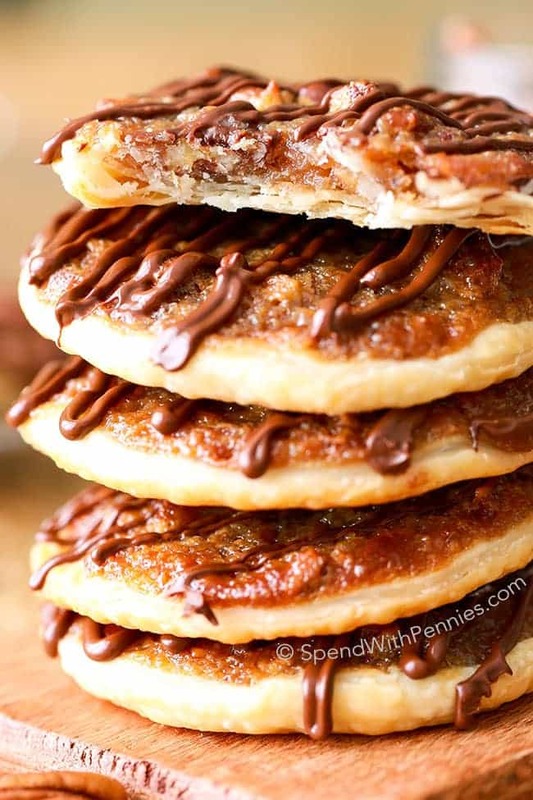 Talk about amazing, check out these pecan pie cookies. They give you that pecan pie flavor but with a cookie base that compliments it perfectly. These are always a huge hit. Change things up with this carrot cake cookie with a cream cheese frosting. These cookies are rich, sweet, and perfect down to the last crumb. Check out these thumbprint caramel pecan cookies. You get that moist cookie base that has a filling of nuts, caramel, and chocolate. 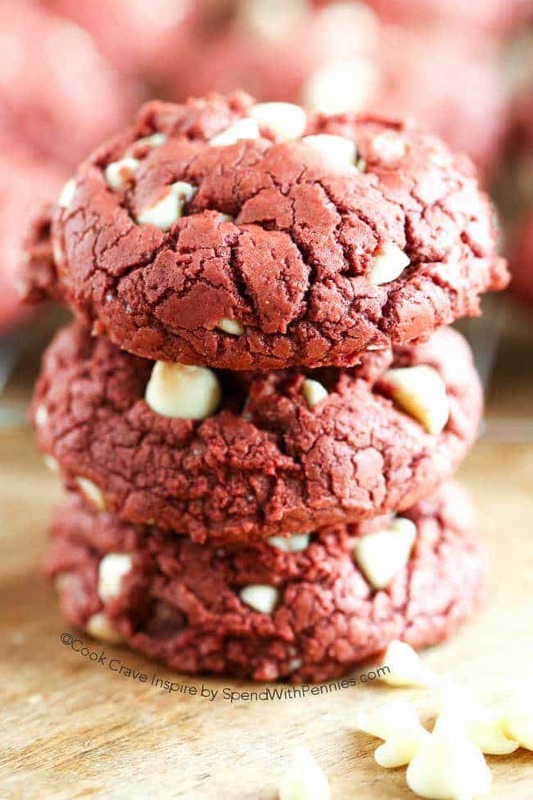 This 4-ingredient red velvet cookie is very easy to make and really tasty. This is a good recipe to use if you may not be a huge baker but want to create a tasty cookie. Caramel stuffed ginger cookies are unique and can stand out in a room full of cookies. You get that spice from the ginger and sweet from the caramel, that works well together. Another tasty creation are these soft frosted eggnog cookies. It has more of a sugar cookie base with an eggnog flavored frosting that has you dreaming of the holidays. Here is a citrus twist to a cookie. 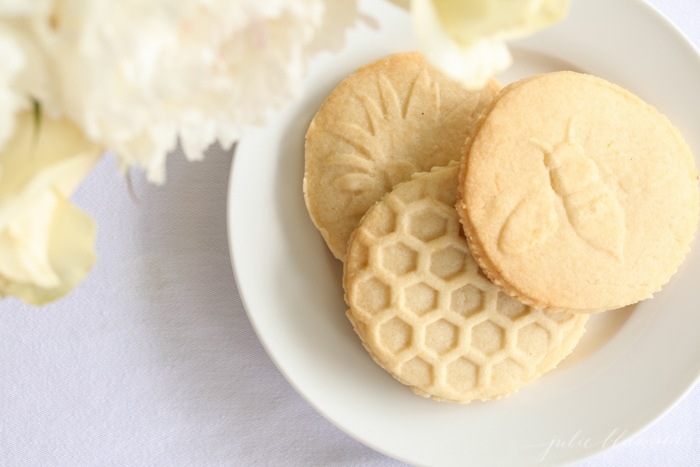 A lemon shortbread cookie that is light and refreshing and melt in your mouth. The perfect tang and sweet all in one. Check out this classic snickerdoodle recipe that gives you that chewy and flavorful cookie that melts in your mouth with tasty flavor. Whip up these tropical white chocolate chip cookies for a fruit-filled cookie that is full of tropical fruit. Pineapple, coconut, macadamia nuts and more.